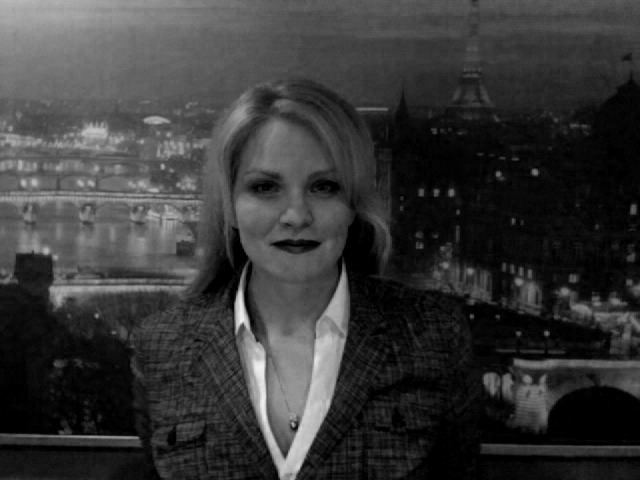 The Cover Contessa: Please Welcome Amy Bartol! As Never Too Old for YA Books and I continue our tribute to Indie authors, we welcome Amy Bartol for an interview today. 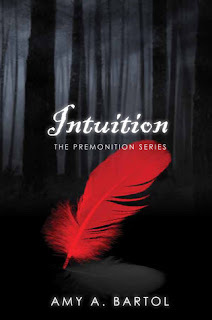 Author of Inescapable: The Premonition Series (Volume 1), Intuition: The Premonition Series (Volume 2), Indebted: The Premonition Series (Volume 3) , and the soon to be released Incendiary: The Premonition Series (Volume 4). And now for the moment we all came here for, Amy's interview! I didn't realize I wanted to be a "writer" at first; I only knew that I wanted to see if I could produce a story worth reading. I know it sounds counterintuitive because you'd think that it would be a logical conclusion that I wrote a book so I could be a writer, but for me, it was more like I became a writer because I had to write a book—I had to tell a story. I didn't have "be a writer" aspirations, maybe I did when I was younger, but when I began writing Inescapable there was no real fantasy of becoming an author. Inescapable just began as an experiment to see if I could write a book—I wanted to see if I was capable of writing a story and then LIKING what I wrote. The rough draft usually takes around four to six months to complete, but I spent over two years revising and editing Inescapable before I published it. I have completed four other novels, which have taken around the same amount of time to rough draft, but now I seem to have developed a “style,” so editing them is easier and less time-consuming. I think that well-developed characters are essential to a great story. If the reader can begin to hear the characters and dream about them even when she is not reading, then the story has life. It breathes. It has a soul. When I’m writing, I go until someone interrupts me or until I have to be somewhere else. When I first began, I wrote while the kids swam in the pool (I know that’s not recommended by the Red Cross Lifeguard manual). Then my youngest started preschool and it was GAME ON! I wrote from the moment I dropped him off until I had to pick him up three hours later. First grade was a whole new world for me. I turned off the phone and wrote for hours. I used to be so much better at balancing my family life and my work life, but that was when I was just a writer. Now I'm an author, a publisher, an editor, a designer, a promoter, a social media networker, a blogger, a reviewer, a mentor, and the president of my own production company, so it's a little harder to handle. I'm working on it! I'm in love with the paranormal romance genre, so it was without question that I'd try to write in that genre when I started. I knew that I wanted to write a story that took place in the "real world" but one that had supernatural elements to it. The idea for angels came when I was reading "The Raven" by Edgar Allan Poe. One of the stanzas had the word "Seraphim" in it. I love words, they're my addiction, and when I find a word I don't know, I look it up. I looked up the word Seraphim and found that they're angels, but not only that, they're said to be the highest rank of angels in Heaven according to a theologian name Pseudo-Dionysius the Aeropagite who wrote about a hierarchy of angels in the 5th Century. I thought to myself, Angels have ranks? Really? From there, the idea for Inescapable grew. I also get ideas from music. Sometimes, a song will be visceral in a way that triggers something, an idea for a storyline or a twist in a story I'm already writing. For me, music is amazing like that. 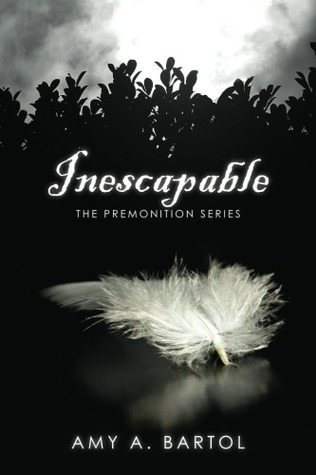 The most surprising thing I learned when creating Inescapable is that the characters began to live. I don't mean that in a physical sense, I mean that the more I wrote, the more it seemed like I wasn't the one writing it. The characters began to "talk" to me in my mind, I could literally hear their voices in my head, and they would take over and show me what they wanted to do and where the story should go. It became, for me, like watching a movie and I just had to listen to what they, the characters, were saying and then try to write it down. I know it sounds insane. I call whatever it is "catching the stream" because once it starts happening, I find myself just writing down chapter after chapter without "thinking" or "plotting" it. In fact, the characters took me in directions that were opposite to where I thought the story was going. They often surprised me. (I recently learned that there is a name for this kind of writing; it’s referred to as being a “pantser.” There are “plotters” who plot out the story and then follow the outline and there are “pantsers” who write by the seat of their pants, so to speak.) I am definitely a pantser. No question. I have completed five novels—two are yet unpublished. 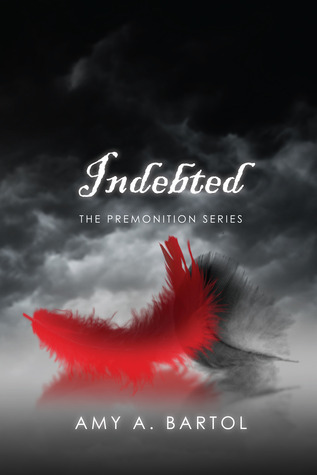 My favorite so far is Indebted: The Premonition Series Volume 3. I think it's my favorite because the fellas ( the villains in my second and third books) make me laugh and are very fun to write. There are two characters in Inescapable that are based on my friends. Buns and Brownie were written into Inescapable because I began to love Evie, the main character, and I wanted to give her friends that would help her so I gave her my two best friends from college. Molly, in Indebted, is based on my best friend from childhood (of the same name). 10. Do you have a favorite place you love to write? This is embarrassing to admit, but I do almost all my writing in my bed at home. I used to prop my laptop on a pillow, but then I went hi-tech and got an e-pad (which is a glorified pillow with a hard top surface). 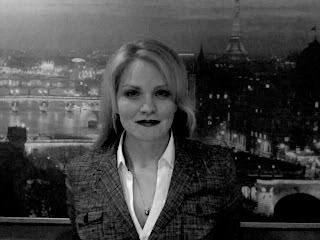 I'm an Indie author: that means I publish my own books. Once I made the decision to self-publish, it was relatively easy, just a matter of researching the best avenue to bring my product to market. I publish my print books through CreateSpace, which is a division of Amazon. I sell my e-books on Amazon through Kindle Direct Publishing and I currently use Smashwords as an aggregator to put my ebooks on Apple, Barnes & Noble, Kobo, Sony, etc. The BEST part about being an Indie author is that I retain all the rights to my books. I like to read and make the neighbor kids clean my pool. Start a blog and if you have a hard time coming up with things to write, use it like a journal. It will get you writing and it could also build a fan base for when you do publish. I wanted to own my own country and have servants do everything for me...so I guess I wanted to be a dictator. Instead, I grew up and created my own world where characters do everything for me...so I guess I am a dictator. Life plan realized. 16. What are your favorite books and which authors inspire you? I . Love. Romance. Novels. The Outlander series by Diana Gabaldon is my favorite series of all time. I was inspired to write, however, by Markus Zusak’s book entitled I Am The Messenger. The book is about Ed Kennedy, an underage cabdriver who has a coffee-drinking dog named The Doorman and a secret crush on his best friend Audrey. Ed has a peaceful routine until the day he inadvertently stops a bank robbery. After that day, Ed becomes the messenger. I knew instantly that I had to try to write a book because maybe I was able to live beyond what I always thought I was capable of. Do: Be present—that means be on every social networking site you can think of and several you can't. Be accessible—write a blog so you can showcase who you are as a person (they want to see your brand, which is you). Be kind. Don't: Go for the hard sell or respond negatively to criticism (even if you feel it's unfair or unwarranted), in fact, try not to respond to it at all. *Small Caveat* If you haven’t read the first three books in the Premonition series, this will be a HUGE spoiler! Thanks so much for stopping by Amy!! !